Your perfect fit for personalized care. 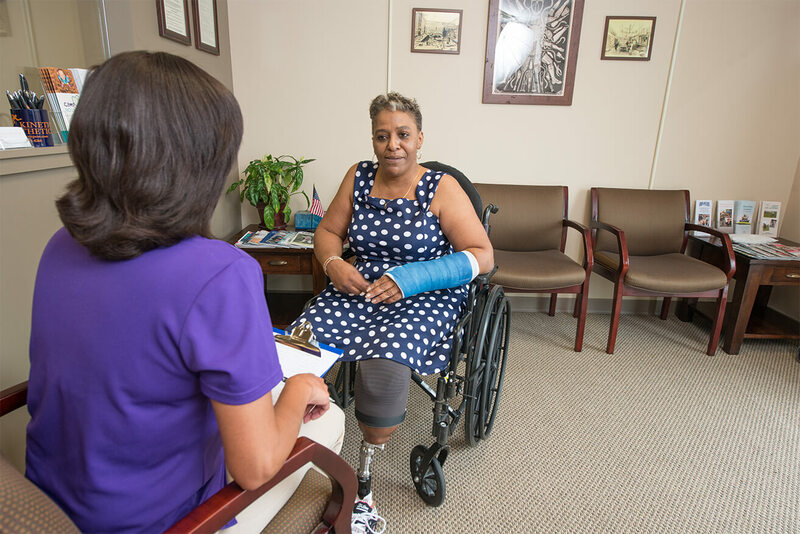 Kinetic Prosthetics has dedicated and highly trained professionals who provide the service and expertise that amputees demand. Our staff is trained with a progressive philosophy and is constantly developing and implementing new techniques and technologies to deliver the perfect fit for you. 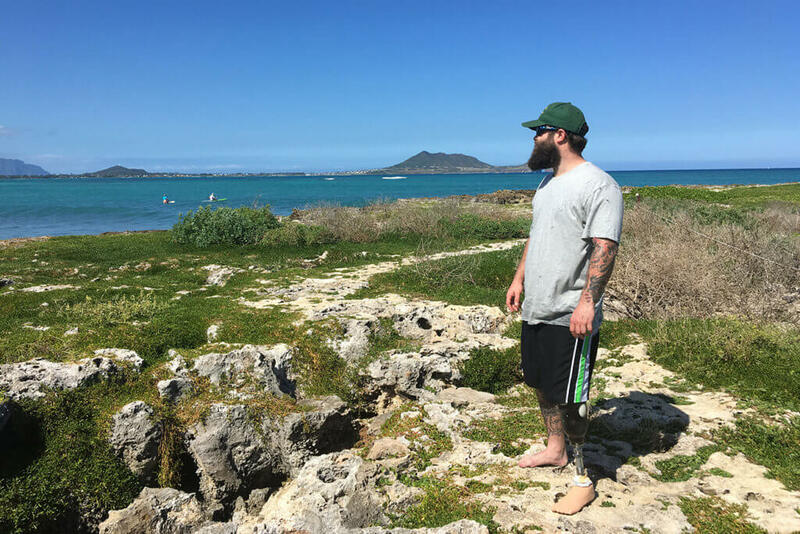 We have over a decade of experience working exclusively with amputees to restore their quality of life through progressive prosthetic care. YOUR PERFECT FIT FOR IN-HOUSE FABRICATION. Kinetic Prosthetics also has a full fabrication laboratory on site. 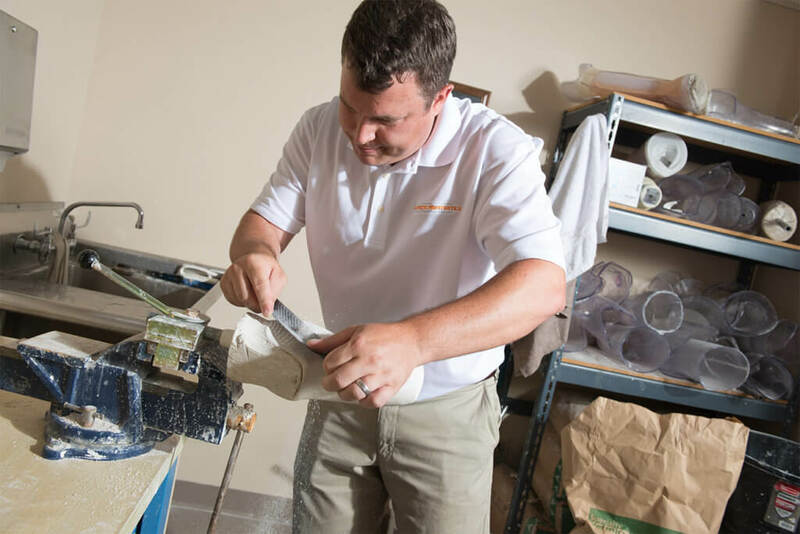 Our in-house lab allows for custom fabrications, same day adjustments, and quicker turnaround times on new prosthetic devices. 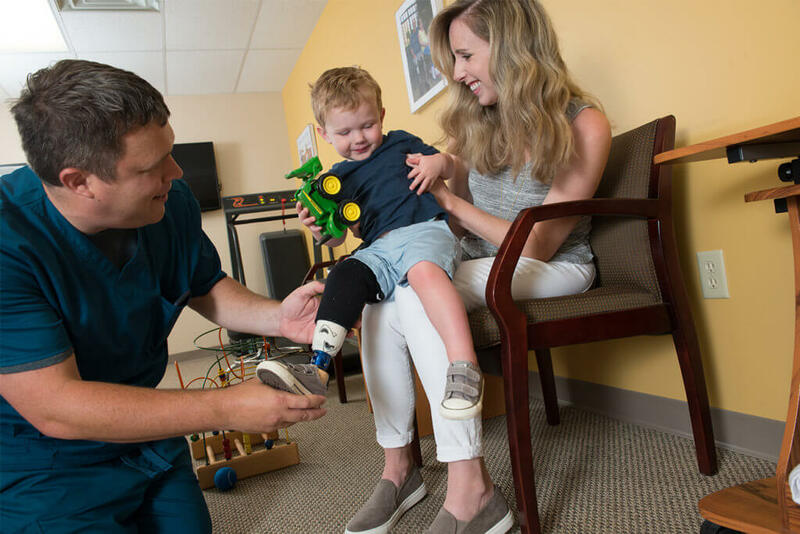 We make custom silicone products and employ today’s technology to scan, develop and 3D print custom prosthetic designs. 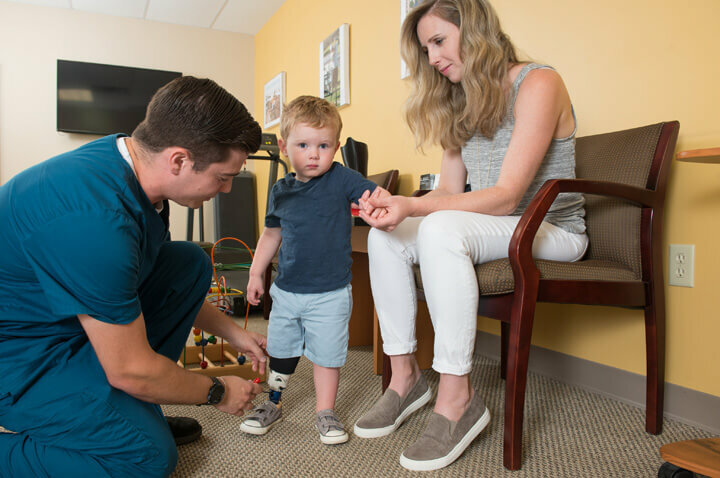 As an exclusive prosthetic practice, we have extensive experience in enhancing the lives of lower extremity amputees. 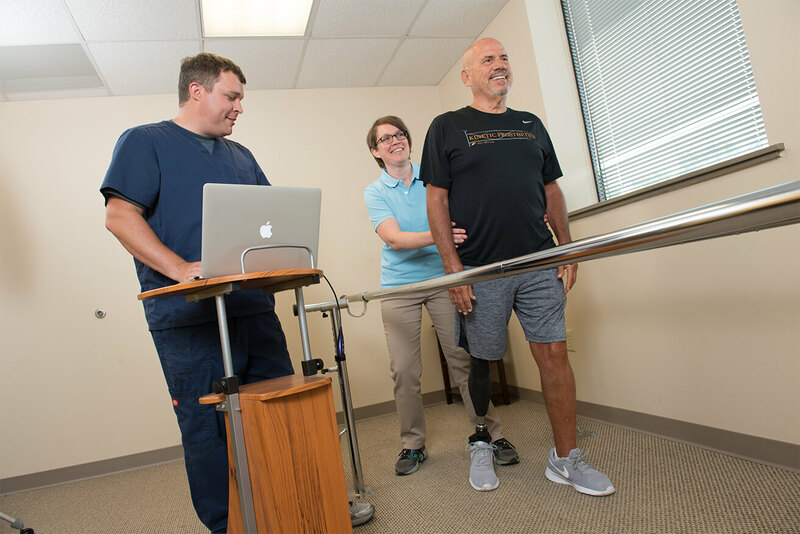 Whether you have a Hip Disarticulation, Above Knee, Below Knee, or Partial Foot Amputation(s) we are here to get you walking and to help you regain your independence. We are proud of our reputation in treating patients with upper extremity amputations. 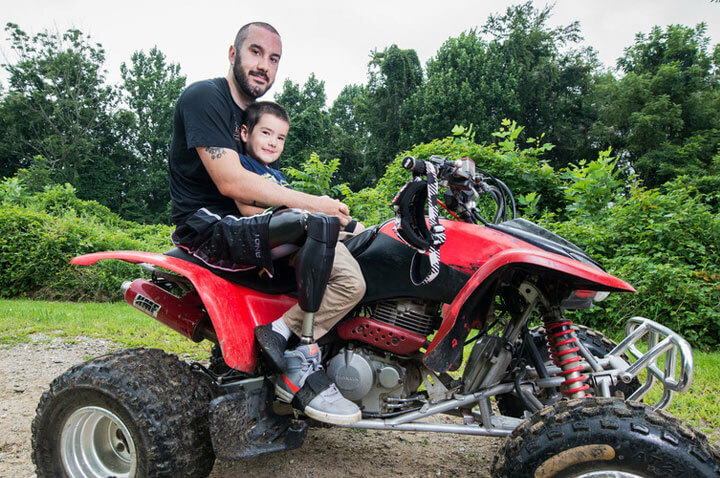 Kinetic Prosthetics recognizes that people with upper extremity amputations have unique prosthetic challenges that require precise prosthetic solutions. We invest the time with you to design a tailored prosthesis to maximize functionality and activity for your upper extremity prosthesis. We are very sensitive to the needs of children who have lost a limb, and we design prosthetics that helps them physically and emotionally. We strive to get to know each family well and collaborate to do whatever it takes to help each child lead enjoyable and active lives.